We’re proud to offer bespoke urban nature-based interventions designed for just about any audience. From primary schools to corporate teams, Nature Nurture has a wide range of experience across communities and a history of projects that have boosted engagement between people and the urban wild spaces on their doorstep. We help early years settings and primary schools take play and learning outside the classroom, helping to support play and learning across the curriculum as well as build children’s self esteem and emotional intelligence, with the added benefit of enriching your curriculum with new tools. Wild spaces ripe for discovery are often already on your school grounds. Whether it’s an overgrown school garden or nearby urban wild spaces such as a park or woodland, we help unleash play and learning in nature spaces by helping schools with their Risk Assessments and co-delivering with your staff team so that they grow in confidence. We have permission from Reading Borough Council to use our public parks, woodlands and waterways for outdoor play and learning and we help schools discover ideal learning environments just a few minutes walk from their schools. We offer Forest School and Wild Days in Reading, West Berkshire, Hampshire, Wokingham, and South Oxfordshire. Workshops include 1-4 trained team members for all outdoor play and learning sessions, depending on the size of your group. Nature Nurture staff co-deliver sessions with school teachers, adding the bonus of practical training for everyone involved. Wild Days - Taster sessions tailored to your school. As well as running workshops, we offer Inset teacher training. Our aim is to enable your entire staff team to build the confidence and skills to take learning outside on a regular basis. Our outdoor play and learning team is trained across a variety of areas: Forest School, Earth Education, John Muir Award, Environmental Education, Creative Arts and School Gardening. We have experience linking with science, literacy and maths and SEAL. Where a school uses the ELSA framework, we are able to work with your teaching staff to observe children and monitor progress. We’ll work with you to select the best mix of skills to deliver your programme. We take an open, friendly and engaging approach - a style that connects with people whatever their background or ability. Children’s self-determination is at the heart of the Nature Nurture approach and is the the bedrock of the Forest School pedagogy. Children embark on their own learning journeys, building on emotional literacy and the emphasis is on outdoor challenges that enable everyone to achieve. Get in touch for a free consultation where we can review your grounds or discuss outdoor learning opportunities at your local green space! The science is in: outdoor activity at work increases productivity and wellbeing. Nature can restore attention, lift moods and improve concentration. Our vision is to embed nature connection into the workplaces. By creating a fun, friendly environment for your workforce to carry out purposeful outdoor activity, you can help your local community and natural environment whilst boosting the health, happiness and productivity of your employees. Our programmes for business can help your organisation build a positive profile in your local community and support a healthier staff by incorporating nature into the workplace. The Nature Nurture creative team can also support sustainability storytelling and PR with photography, short films, presentations and participant certificates. 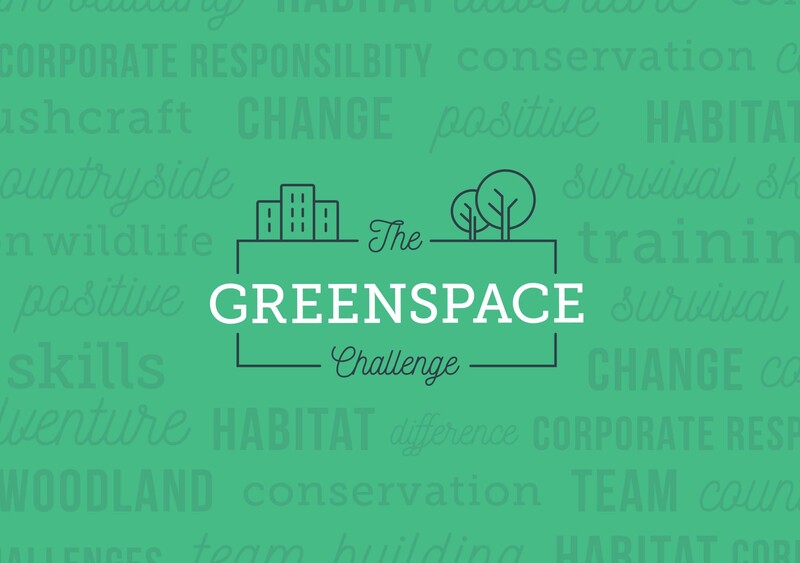 While we offer a number of bespoke outdoor programmes to organisations, our latest programme is the Greenspace Challenge. Easy to integrate into your workplace wellbeing, staff development and CSR programmes, the Greenspace Challenge is a day-long nature based intervention that aims to foster a happier and more resilient workforce. We run the Greenspace Challenge in urban nature spaces such as a park or woodland near to your workplace. A typical day involves fun, accessible activities with 30-50 people. Our staff team comprises Forest School leaders, survival experts & creative professionals. We design inspiring programmes that are bound to make your staff feel good. Our friendly, engaging style resonates with everyone, whatever their background or ability. Creativity: Creative innovation challenges, such as making a giant insect out of willow branches. A great way to brainstorm out of the office and draw out that latent creativity and innovation. Co-operation: Team building training and overcoming challenges, with our partners at Breath of Fresh Air. We can tailor training and peer mentoring to suit your particular team challenges. Get in touch for more information or a free consultation and quote. Really enjoyable and will definitely use the activities we did this afternoon with the children. Lots of practical ideas to use outdoors. Useful advice about keeping safe. Full of great ideas- will feed back to rest of staff. Thanks. Absolutely inspirational and knowledgeable, the staff were amazing.